Bajaj Auto has launched the Bajaj Pulsar Classic in two new colour options. The bike is now available in red or silver accents, while the base colour remains black. It is priced at Rs 64,998 ex-showroom Delhi. These contrasting accents can be found on the bike's side panels, rims, headlamp unit, badging and grab handle. Contrasting stitching is available on the seat as well. 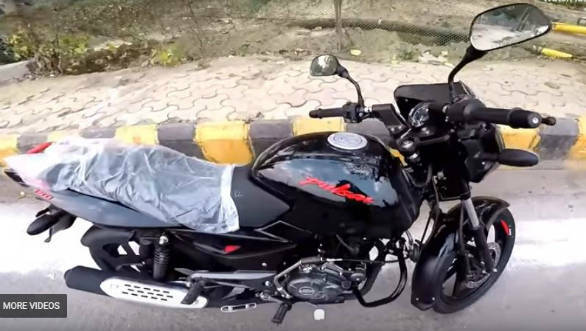 Launched in June 2018, Bajaj Pulsar 150 Classic has been positioned below the twin-disc Pulsar 150 that launched in April this year. 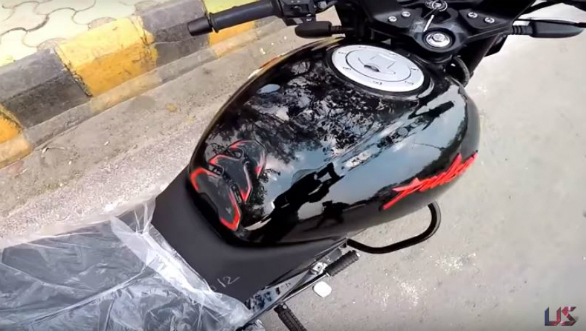 The 2018 Bajaj Pulsar 150 Classic does not come with vinyls and tank extensions that are offered as standard on the Pulsar range. Additionally, the Pulsar Classic comes with single seat instead of the split layout, rear disc brake, all-black components and will be only available only in a single shade, black. The frame and the powertrain of the Pulsar 150 Classic are unchanged. The 149.5 cc DTS-i engine produces 14PS of power and 13.4 Nm of torque, mated to a 5-speed gearbox. The Bajaj Pulsar 150 Classic competes with the likes of the Hero Glamour FI (Rs 66,400), Hero Achiever 150 (Rs 66,100) and also the Pulsar 135 (Rs 64,489). While the Pulsar 150 Classic rides on the popular brand image of the Pulsar brand, the offerings by Hero are known for their reliability and efficiency.